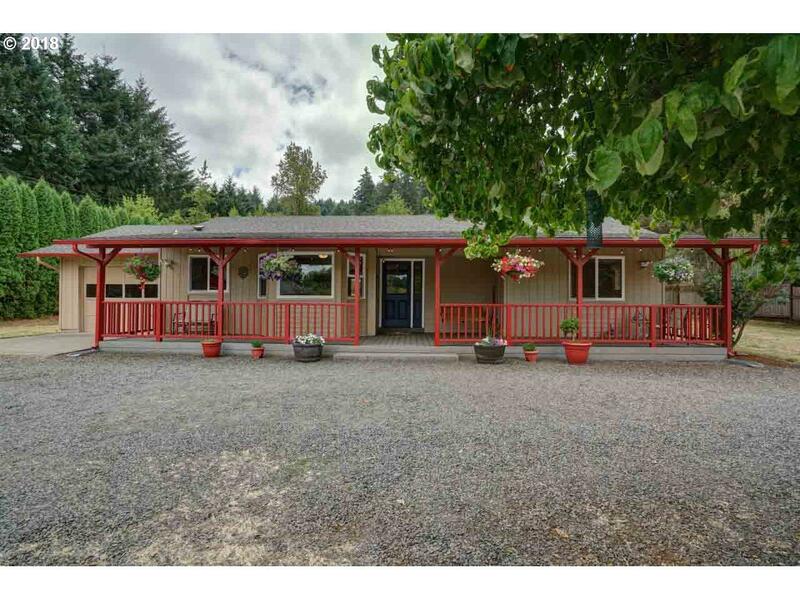 Country living on acreage, close to elementary school, with fenced pasture, barn, and tack room. Open floor plan, bay window, walk in pantry, and lots of natural light; this property will not disappoint! Insulated garage could be used as a mudroom. Office space/storage room attached to barn. Plenty of room for additional gardening to add to existing raised garden beds and fruit trees. Peaceful scenic views from the large covered porch. Listing provided courtesy of Coho Realty.